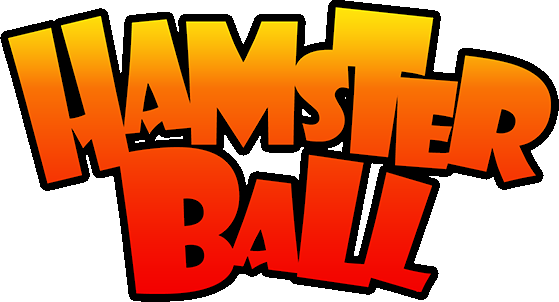 Tournament Mode is the main game mode of Hamsterball. Tournament Mode consists of 15 races played in a linear order. The goal is to complete all 15 races without running out of time. The amount of time the player has left is dependent on their performance on the previous race, with the exception of the Warm-up Race and the Beginner Race, which are too early in the tournament to be dependent on a previous time, and instead are fixed to a set time pool. At the end of every race, the amount of time the player has left is carried over to the next race. The new race's time pool is then added to the time the player carried over from the last race. This will continue until the end of the tournament. The time pool for all the races is dependent on the difficulty the player selected prior to starting the tournament. There are also special objects in some races that, upon activating them, will provide a slight addition to the player's time pool, typically 5 or 10 seconds. These objects require great precision and speed to activate, and failure to activate them typically results in a crash. At the end of every race, a preview of the next race is shown, along with a short description of the race and the amount of time the player has remaining from the last race. From this screen, the player may start the next race, go back to the main menu, or rollback their last race. Every time a new race is reached, the race is unlocked for time trial mode. If a player is unhappy with their performance in the previous race, they have the option to rollback to the beginning of the race and try it again. Performing this action will reset the player's score to 0 and prevent the score from being posted on the local leaderboard should the player complete the tournament successfully after rolling back. There are time bonuses in the Up Race, Expert Race, and Glass Race. In the Up Race, at the final section before the goal, you will get launched upwards by a friction spiral, the second one in the stage. If you land on the big red button, you'll get 5 seconds added to your time pool. In the Expert Race, at the end of the stage with the giant ramp, try to stay in the middle of the ramp and gather as much speed as you can. At the bottom of the ramp is a jump with a bell that you can possibly hit. If you do manage to hit it, you'll get 5 seconds added to your time pool. In the Glass Race, near the end, there are two sections of glass you can choose to fall down and roll to the next section. If you break one of the pieces of glass at the end of the extremely steep ramp, you'll get 10 seconds added to your time pool, which you'll need to take on the next three races. On Normal and Frenzied difficulties, there are hidden sections of the last 12 races that, once found, reveal a grayed out lock. Once the lock is rolled over, an arena that matches the theme of the current race will be unlocked in the Rodent Rumble game mode. The location of each arena unlock is listed on the race's main page. The Warm-up Race, Beginner Race, and Intermediate Race all have their arenas unlocked by default.